Getting a military blazer badge isn't hard these days as under license you are guaranteed quality approved .So the blazer badge is exactly what you need .Blazer badges are made to replicate the regiment your in by ministry of defense so the badge regiment is top quality and guaranteed to be original so add Blazer badges approved by M.O.D now. 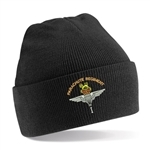 Need Military Embroidered Clothing with your Regimental Badge? 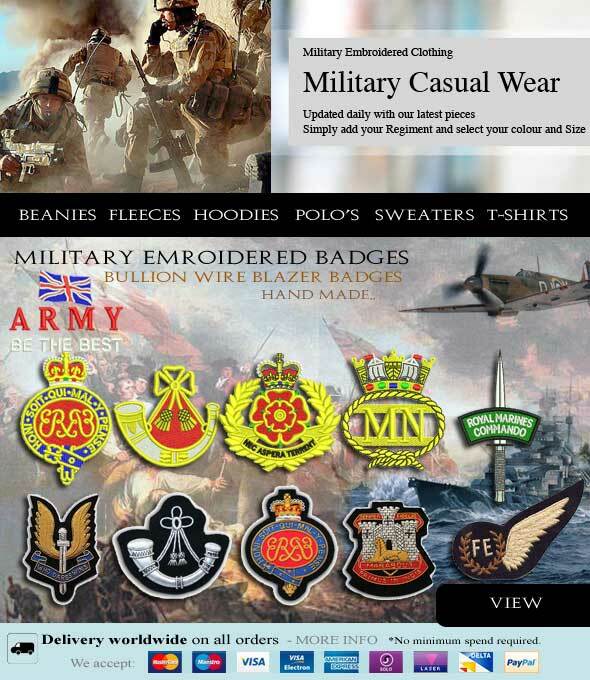 Whichever Regiment you served in, we can provide you with Military Clothing with your Regimental Badge. We have Military Badges ranging from RAF Royal Air Force Strike Command, to REME Airbourne, including the Grenadier Guards, and Blackwatch. We have a wide selection of Military Badges, and if you dont see your Regiment, please contact us as we can create most. Take a look through all the different Regiment Badges we do! Well we all know about military blazer badges they do a great job of displaying what you are supporting and can be added to any clothing to show respect to the chosen regiment you may be in the forces or retired or simply a supporter of a regiment your family member or friend are in nothing can do more than a military Blazer Badges so add some and show your love for the regiment you support. When you want something that looks good on your blazer it can be hard to find that perfect badge as some regiments are hard to source .One badge that will do the job and make that dull blazer come to life is a veterans blazer badge so show your proudness by adding these great badges to your collection . What should you know when it comes to army clothing? More than you might imagine. Make sure you read on right now to see how you can get started learning the basics to army apparel so you dont waste money or time shopping for the wrong things (or in the wrong places). Army clothing has gone a long way from what it once was it used to be a style associated with baggy cargo pants and camouflage shirts, but nowadays it;s really varied and features all sorts of different options that can suit anyones taste. What tips do you need to know before you start spending money online shopping for army polo shirts? These tips might surprise you and possibly save you hundreds of dollars, so make sure you read on below to get the deep down and dirty info on shopping for the best in army polo shirts on the internet. The Internet has made it really easy to get your hands on all sorts of things these days and from technology to clothing, its all available right at your fingertips and you can easily get yourself outfitted with anything you can imagine. You dont have to stick with the traditional style green colored army t-shirts if you want to support your country while also spicing up your wardrobe. Simply read on below to see how you can get the unique look you want without having to settle for a not so stylish green colored t-shirt. A common misconception when it comes to military clothing & and more specifically, army t-shirts & is that the majority of your options are going to be green, because that&s the color associated with the army in general. Endless Variety with Blazer Badges &; Time to Define Your Style? Is today the day you finally define your style and unique look? Read on below to see how you can start standing out from the crowd with blazer badges, the ultimate accessory for anyone who wants a unique look without spending a lot of money. Read on to find out a lot more about how to get started. Customizing your appearance has never been easier than nowadays & there are so many different fashion styles to choose from. How can you get a style that is unique and yet classy? One way is to adopt British army clothing as your apparel of choice. Read on to see how this unique kind of clothing can drastically improve your wardrobe and impression on people. You may be surprised by what it can do for you. Even though many people consider military clothing to be tightly limited to rugged and casual clothes with a more and appearance, its far from true that these are the only options youve got in this fashion style. How can you get a style that is unique and yet classy? One way is to adopt British army clothing as your apparel of choice. Read on to see how this unique kind of clothing can drastically improve your wardrobe and impression on people. You may be surprised by what it can do for you. Even though many people consider military clothing to be tightly limited to rugged and casual clothes with a more better appearance, its far from true that these are the only options youve got in this fashion style. By definition, these blazer badges are types of accessories being stitched on the blazers for many different purposes. It could be used up as a nice decor, a mark of distinction of belongings to a certain group, an icon of the military honor or a nice fashion statement. There just lots of things that a person could do with blazer badges. The only thing is that, these blazer badges aren't solely made for use with the blazers. They could even be matched with lots of other clothing apparels, to customize and of course, to accessorize. There is more to a certain thing than meets the eye. It is totally true with regards to the blazer badges Blazer badges are accessories from military materials. It is actually a sign of entitlement and power. However, with the emergence of the fashion world, blazer badges simply make a good fashion statement. Do you happen to be one of those people who love fashion Well, why dont you consider blazer badges to add more sense to your style? The blazer badges are common elements of the military clothing. They simply originated from such style and that they could be easily worn by many fans of the military kind of clothing. Originally, these were just military themed, since they have been used within such style only. However, later on, they then changed into many other guidelines and they have also got the blazer badges with all types of appearances and styles and something that is appropriate for the preferences of many people. Customizing your appearance could be finished in many ways. The only thing is that, a lot of people limit up themselves in a wrong way, as to what they could surely achieve by simple re-arrangement of the wardrobe that they have. In the reality, there are many things that you could do if you only know how to think uniquely or at least, think outside the box. For instance, instead of switching new shirts, why dont you consider decorating it with military blazer badges that will provide a new and unique look representing something good? Well, this is the reason why military blazer badges are simply the best and versatile type of clothing accessory, in terms of customization. You are given the chance to put up whatever kind of logo or graphic design that you could think of upon your clothes, whether you want any design, as you have all the freedom to do it so. Uniform, in case you dont know is a distinctive design or fashion being worn by the members of a certain group and serving as a way of identification. The insignia is a being defined as a .badge of authority of honor or an emblem as the distinguishing mark or sign. Moreover, a badge is a sign or a token of power, office, status, jurisdiction and even an official body of the government. Thus, insignia only means as an emblem of a certain or general authority. Collecting military blazer badges have then become one of the popular hobbies for the past decades. Some people consider collecting for the reason that they were in the military. Some actually do it for the reason that they are curious about the certain war or the military itself. If you think you are about to start collecting or have one already, it is essential for you to know that the military blazer badges are being made and how to tell the real one from those of the fake. Looking for that stylish look that no one else has? Make sure you find the best in military styles and apparel by shopping at the best retail locations then. Read on below to see what you need to know to get the perfect balanced look to get the unique style you want and need. Military clothes tend to be quite strongly divided with regards to their overall appearance and; most of them tend to be either overly rugged or extremely stylish and therefore inappropriate for most casual encounters. What tips do you need to know before you start spending money online shopping for army polo shirts? 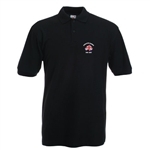 These tips might surprise you and possibly save you hundreds of dollars, so make sure you read on below to get the deep down and dirty info on shopping for the best in army polo shirts on the internet. The Internet has made it really easy to get your hands on all sorts of things these days from technology to clothing, it;s all available right at your fingertips and you can easily get yourself outfitted with anything you can imagine. Want a style that can;t be touched? Then you need to read on to learn more about how unique approaches to military clothing can spice up your wardrobe. Read below to see how parachute regiment t-shirts can revolutionize your style and give you a look that simply cant be imitated. Military clothing doesn't have to be plain and boring! It also certainly doesn't have to feature an excessive use of the color green and camouflage patterns. What are some of the details and facts you should realize about regiment clothing before you begin spending hard-earned money on a brand new wardrobe? The answers might surprise you. Read on right now to find out a lot more and see how to get started right now with finding out the;truth behind regiment clothing. Regiment clothing is a rather loosely defined term nowadays, mostly because regiment& can refer to a number of different military regiments from all over the world. How can you get that unique look you want without spending a ton at a local retailer for the latest in high fashion? Its simple really. Just get your hands on some high quality royal marines clothing and begin defining a style that no one else is bold enough to claim. Read on to find out how to get started. Everyone loves to look unique & thats pretty much the point behind all the different clothing styles anyway. The military-style clothing was always a bizarre trend in the fashion world. Military units and the army uniforms have been there for hundreds of years, but it was during the recent times that their dressing styles have got adopted as many common casual styles in day to day living of men and women. Now the army dresses are worn by civilian people all over the world. It serves both the purposes as a unique way of saluting their pride and fidelity as well as being a very fashionable looking clothing style, which does not cost so much. There are many varieties of regiment clothing available in the market with slight alternations from the military styles, making them more fashionable and comfortable for daily usage. Military uniforms have always commanded respect from people because of power and authority they wield.They also respected for there patriotic appeal and uniqueness of there designs.earlier countries were identified by there army uniform by color and design but modern armies have multiple military clothing for all the different regiments that are contained within.Regiment clothing is distinguished by there design and color and each regiment has its own set of uniforms and casuals.Members of the regiment are extremely proud of there regiment colors and clothing and they continue to wear these even after they retire from service .